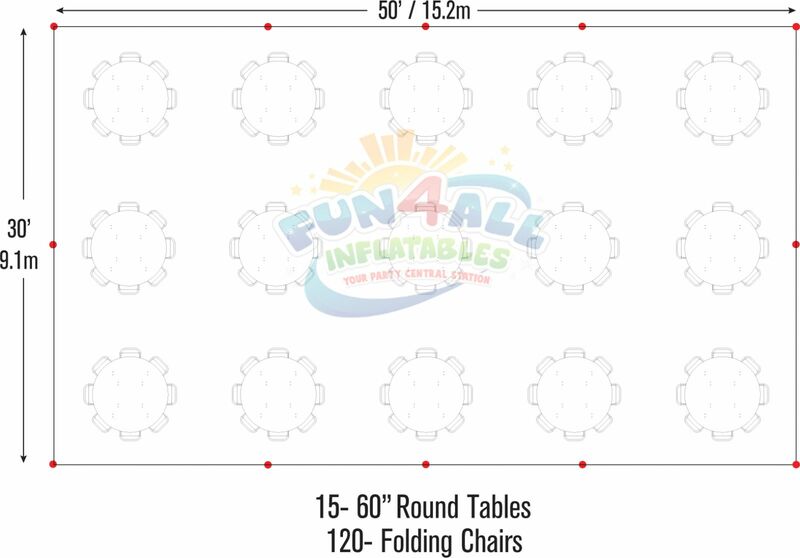 This 30 x 50 Frame Tent Rental is commercial rental quality and is the perfect party tent for your event. 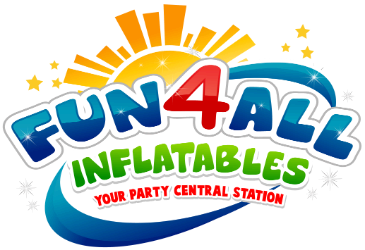 Whether you call it a party tent, canopy tent, event tent, wedding tent, or gazebo - we have what you need! These tents are not Carport tents!! 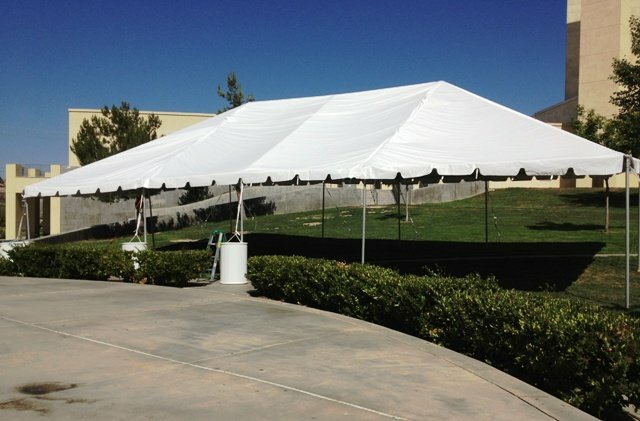 Frame tent means less poles can be installed over concrete or asphalt. There are no center poles.